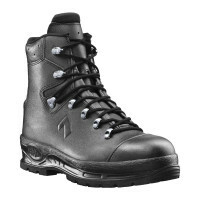 Product information "HAIX Trekker Pro S3"
The Trekker Pro S3 by HAIX is a stable leather safety boot which is a perfect option for factory and construction workers as well as being suitable for police officers. It will provide you with total protection against the weather during all the seasons of the year. This is a boot which fulfils the requirements of Safety Class S3 and makes a major contribution towards ensuring health and safety at work. It is watertight and features a broad toe cap as well as boasting a puncture-resistant anti-slip sole with a deep tread. The Trekker Pro S3 is extremely robust and provides a perfect fit around the foot. A narrow shaft prevents you from going over on your ankle, whilst a generously sized contact surface and rugged outsole offer a firm grip across any terrain. 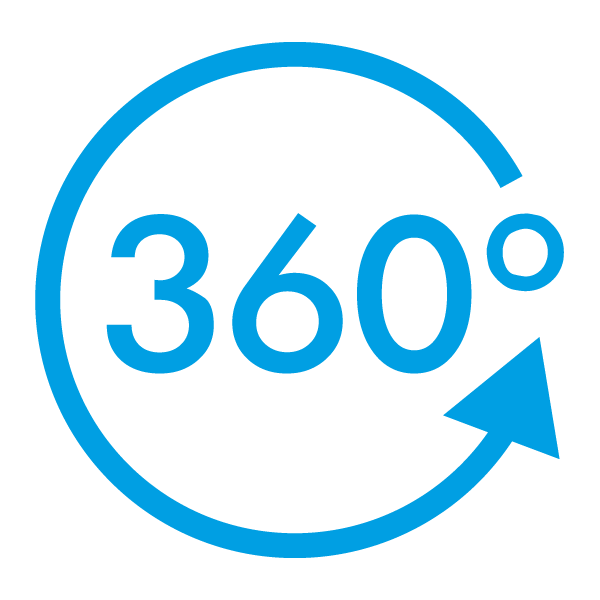 An integrated rounding ensures good freedom of movement, such as when you need to kneel down during the course of your work. No pressure points will be created in the heel or Achilles area, even after a long day. The Trekker Pro S3 has a rubber shell sole with integrated PU foam to provide additional comfort of wear. The foam extends to fill the whole of the sole area and thus give the impression of walking across a soft map. Your steps are cushioned as you move along, thus lessening the pressure on your entire muscle system. Because of its extreme lightness, the foam also means that the Trekker Pro S3 is not as heavy as conventional professional boots with a sole of comparable thickness. The HAIX Trekker Pro S3 is made of genuine bull leather. This high quality material offers a superb fibre structure, thus rendering it particularly robust. The leather used in the manufacture of the boot, which is almost three millimetres thick, has been hydrophobised, i.e. specially impregnated to make it watertight. It is also highly breathable (5.0 mg/cm²/h). This means that you will not sweat. An additional rubber cap with recessed seams reinforces the leather at the tip of the boot and helps prevent wear and tear in this area. The leather reflects its rays and transports less heat to the feet to keep you pleasantly cool in the summer months. The HAIX Trekker Pro S3 has an abrasion-resistant lining with an inner layer of fleece. Several layers of GORE-TEX® integrated into the lining guarantee maximum climate comfort at all times of the year. Although this high-tech membrane is absolutely waterproof, it will still allow your feet to “breathe”. Water and other liquids are unable to penetrate, whilst the tiny pores contained within the material enable sweat to be expelled. Your feet will remain dry, even after an extremely strenuous ten-hour day. The plastic and fleece insole of the Trekker Pro S3 is very robust and offers a high degree of torsion resistance. The latter property means that it will not bend easily. This ensures a secure foothold on uneven ground. Discomfort from individual pressure points created when, for example, you walk across stony ground, is noticeably reduced. A fast-drying anatomically formed insole absorbs moisture in a highly effective manner and may also be removed and exchanged if required. The sole of the Trekker Pro S3 is puncture resistant. Any sharp objects such as nails that may be lying around on building sites will not be able to penetrate the boot and cause injury. A extra-wide padded toe cap gives total protection against falling objects. The rubber sole of the Trekker Pro S3 has a deep tread which is suited to all types of paved and unpaved terrain. As well as ensuring that you will not slip, the extremely durable material used in its manufacture is highly resistant to wear and tear. A large bevelled surface contact area provides a firm grip at all times. 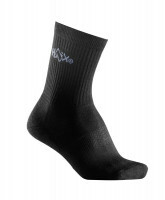 HAIX’s patented MSL System guarantees maximum shock absorption as you move along. PU foam integrated across the whole of the sole area cushions your steps and decreases pressure on the joints and back. At the same time, it also provides outstanding insulation against heat and cold alike. The outsole of the S3 is resistant against oil and petrol. 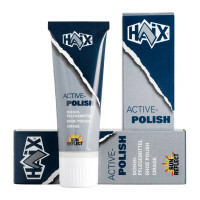 It is also colour fast, and will not leave any ugly dark marks on light-coloured surfaces. The Trekker Pro S3 by HAIX is a robust safety boot that has been specially designed for use by tradesmen and police officers. It provides maximum protection against the rain and cold. It is also antistatic and slip resistant as well as providing a firm grip on any surface. Purchase your HAIX safety boots now.